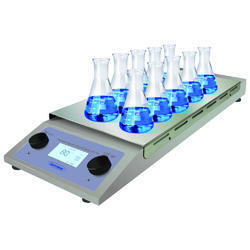 Contech''s vast experience and in depth knowledge of Laboratory needs & Analytical instrumentation has helped it to roll out complete range of laboratory sample mixing & liquid handling equipments viz. 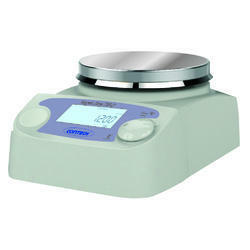 Stirrers, Hotplates, Mixers, Shakers, Rollers, Rotators, etc. 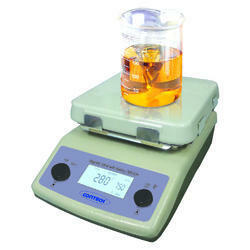 We are the leading manufacturers and exporter of Magnetic Stirrer CMS-01 and our product is made of good quality. Microprocessor speed controller guarantees speed accuracy. Speed setting possible only while the stirring is off. LCD with backlight displays for the set and actual speed. We are the leading manufacturers and exporter of Magnetic Stirrer with Heating (280degree C) and our product is made of good quality. Maximum stirring Quantity 400ml in each position. 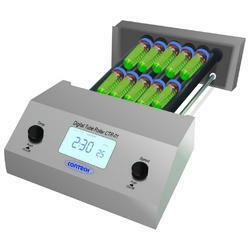 We are the leading manufacturers and exporter of Multi Station Magnetic Stirrer With Heating Cms-10h and our product is made of good quality. 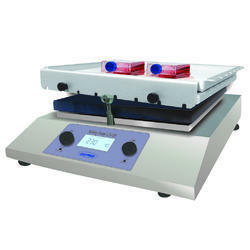 High-performance multi station magnetic stirrer. 10 station position with uniform temperature distribution. Backlit LCD display for temperature & speed indication. Stainless steel anti corrosion top. Maximum stirring Quantity: 400ml in each position. We are the leading manufacturers and exporter of Magnetic Stirrer With Heating (550 Degree C) and our product is made of good quality. Aluminum die-cast enclosure for excellent chemical & thermal resistance. 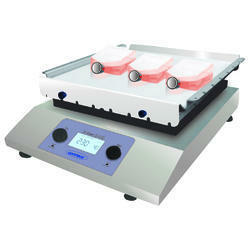 Glass ceramic work plate for high temperature & chemical resistance and easy to clean. Brushless DC motor for long life & maintenance free operation. 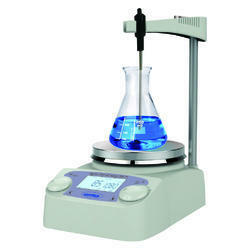 We are the leading manufacturers and exporter of Orbital Shaker and our product is made of good quality. Backlit display for viewing speed & time. Platform options for different types of glassware. Brushless DC motor for maintenance free operation & long life. 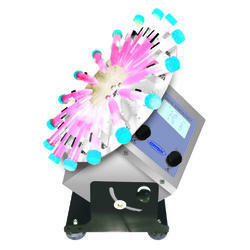 Designed for continuous or time-based operation. Time setting range 1~1200 min. We are the leading manufacturers and exporter of Rocking Shaker CLS-02R and our product is made of good quality. DC motor for reliable operation. We are the leading manufacturers and exporter of 3D Shaker CLS-03D and our product is made of good quality. Backlite display for viewing speed & time. We are the leading manufacturers and exporter of Digital Tube Roller CTR-01 and our product is made of good quality. Provides gentle rocking & rolling motion. Rocking & rolling motion for complete mixing. Six no. easy cleaning rollers. Design for continuous or time-based operation. We are the leading manufacturers and exporter of Digital Rotator CLR 01 and our product is made of good quality. The rotor is provided with 2 different types of tube holders. In 1st option, the rotor is supplied with rotisserie holder for tubes. In 2nd option rotor is supplied with disc holder for tubes & the disc angle can be set from 0-90degree. Different options of holding accessories. LCD with backlight displays time and speed. 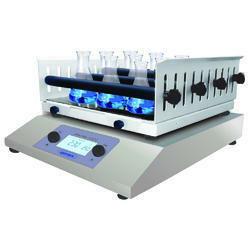 Looking for Sample Preparation Equipments ?